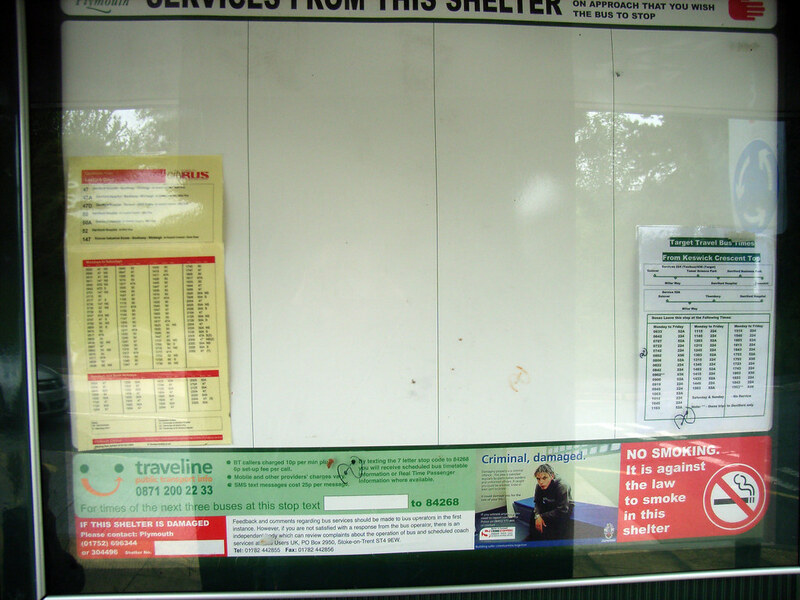 RTP Review part 2 I was pleasantly surprised to see that my bus stop display has been updated this week. 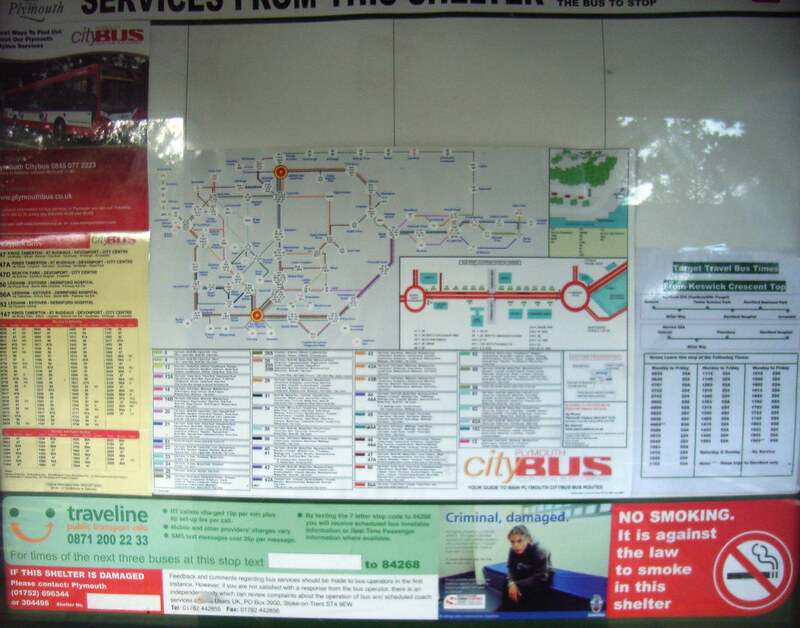 We now have a nice large map of Citybus routes to go with the standard Citybus departures sheet. We also still have the old out of date timetable for Target Travel and Northern Connect which still shows Target Travel X56 which is now just another 224 Taxibus. The times themselves have not changed though so it is still useful, if somewhat confusing. Both Taxifast and Target do have some nice leaflets available if you can find them, so why they cant get better promotion to the bus stops is a mystery to me. I know people still let the Taxi buses go by because they don't know how to use them. The other thing that has changed is the disappearance of the small 'ugobus is coming' sticker which had been stuck to the outside of the display case. 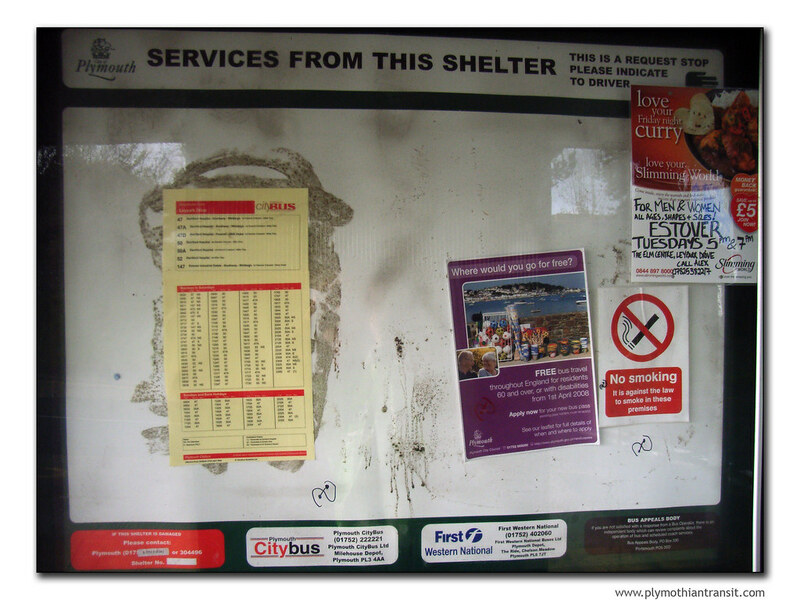 There is still room in the top corner of this display to fit a standard A4 timetable sheet for service 15 when it comes but it does rather limit their promotional material to a small space, unless they just cover up part of the Citybus map! Compare the above with the same display back in May this year: a bit bare! "Bus passengers in Plymouth will be able to get timetable details on their mobile phone within months. Residents will be able to get up-to-date information on the buses by sending a simple text message.The £1.7million project, which uses radio-navigation technology, is being seen as a key tool in the city council's bid to get more people on buses. Under the system, each of the Plymouth's 1,700 bus stops has been given a unique code.By texting the code for their nearest bus stop, passengers will be able to get details about when the next bus will arrive.A website providing codes for every bus stop in the city is to be set up by the council within three to six months.Over the next two years, each bus stop will be fitted with a sign showing its unique code. The Northern Connect Taxi-buses do not have the equipment to give real time info (which they could really do with) and as far as I know neither do Target Travel, so that already cuts down its usefulness here anyway. I am still not sure why we don't have a full display of the next buses due at each bus stop even if it is not real time for each service it would be useful. I have not been on the web site where you can enter the bus stop code as it only seems to work on IE6 and IE7, and wasn't actually that good before anyway. Plymgo is an alternative and that does seem to be working at the moment, but how many people know about it? OMG! What kind of an architect build that?? ?